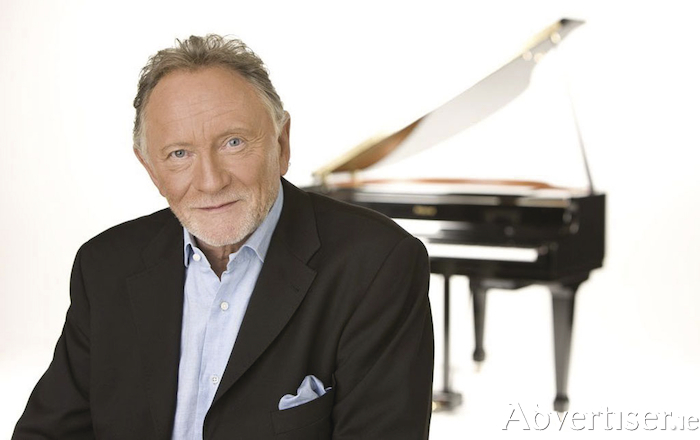 PHIL COULTER - who has written songs for Van Morrison, Elvis Presley, Cliff Richard, and Luke Kelly - makes a welcome return to the Town Hall Theatre tomorrow at 8pm. The Derry born songwriter, pianist, and producer can boast of a career now stretching beyond 50 years. In that time he has penned two of the finest songs ever to come out of Ireland 'Scorn Not His Simplicity' and 'The Town I Loved So Well'; produced albums for Planxty and The Bay City Rollers; wrote Elvis's Top 20 hit, 'My Boy'; and co-wrote the Eurovision classics, 'Puppet On a String' for Sandie Shaw, and 'Congratulations' for Cliff Richard. Coulter has also performed with James Galway and the London Symphony Orchestra, Nanci Griffith, Henry Mancini, Elmer Bernstein, and Quincy Jones.